There are 13 airports in Okinawa Prefecture, and Naha Airport provides access to 6 major remote islands. 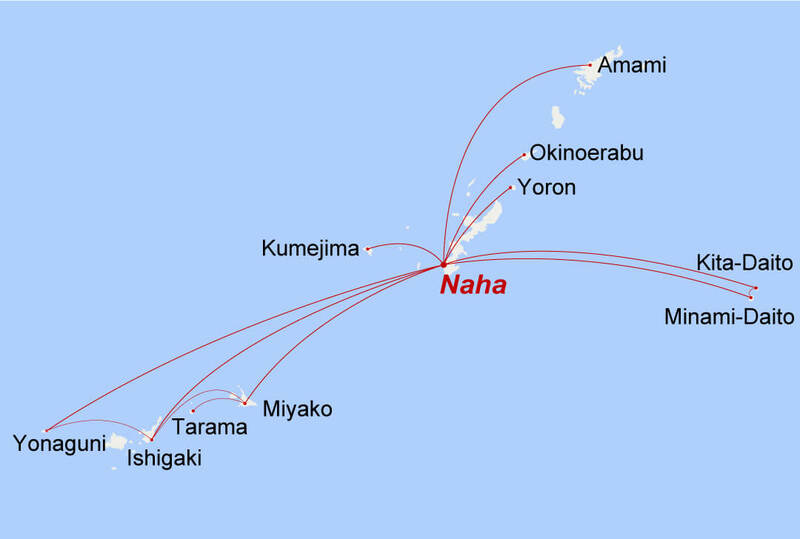 There are direct flights to neighboring Kagoshima Prefecture, Amami Oshima, and Yoronjima as well, making Naha a base from which one can travel to a number of islands. *Flight durations are estimates. Weather conditions and other factors may affect these estimates.